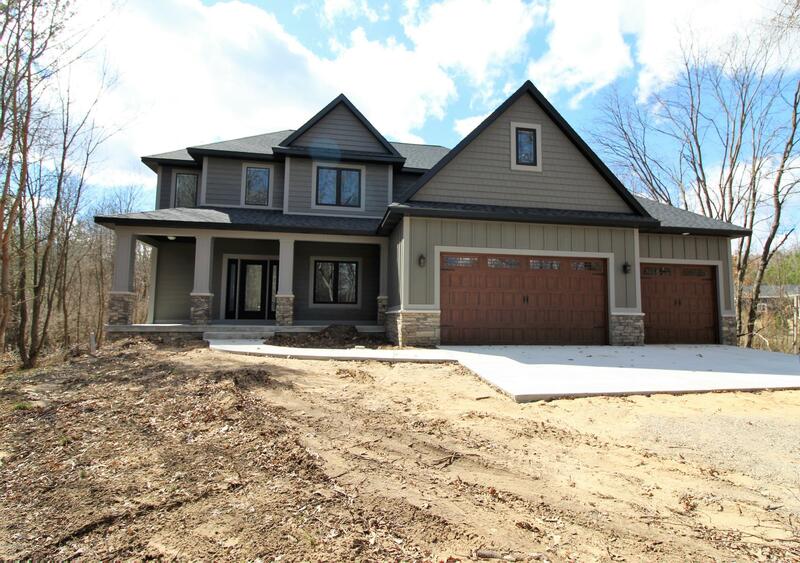 New construction in Rockford schools! This beautiful home features 4 bedrooms and 3 full bathrooms on 2.36 private acres. The large kitchen is complete with granite counters, stainless appliances, and center island. Main level office with French doors is the perfect workspace or could be used as a guest room with the full bathroom off the mudroom. Upstairs you'll find 4 bedrooms with custom built-in closet storage, 2 full bathrooms, laundry room, and a huge master suite! The basement has a finished bonus room and lots of unfinished storage areas. Ultra high efficiency furnace and high end AC unit. The 876 sq ft 3 stall garage has lots of room for all your vehicles and toys. Come fall in love with your new home!